Welcome to Love-Wise. We are convinced that when you connect true love with sound wisdom, your relationships flourish and life just works better. This is easy to say but hard to live out because all of us have come from imperfect families. Some of what we learned from our loved ones was strong, healthy and worth repeating. Some of what we learned, however, was inconsistent with the way God designed life and relationships. As a result, we are all on a journey of discovery and we want to share our journey with you. Our journey includes extensive travel to speak at conferences, living on a boat when we are off the road, learning to love one another in our empty nest and building long-distance relationships with our kids and grandkids. We will be posting each week, for everyone to see, the “highlights” (victories as well as challenges) of our journey and we will share what is on our hearts. 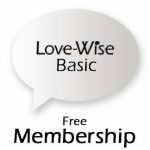 We hope you will check in each week to encourage us on our journey and hopefully pick up a few tips on how to add love and wisdom to your journey. We will also be making resources available to you that we believe in. These resources will, of course, be available for sale but they are also available as part of membership packages that will save you money over retail pricing and automatically deliver valuable resources to you. We hope you will choose one of the membership opportunities below and join us on the journey.